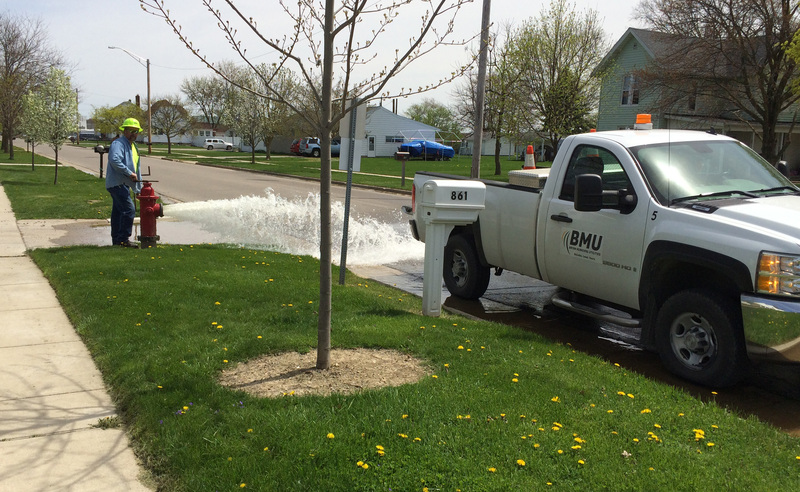 Spring is in the air, so that means it is time for spring cleaning—or flushing—for Bryan Municipal Utilities’ water distribution crew. The Bryan Water Department began its annual water main flushing program on April 12. The program will take approximately three weeks to complete. “We start by flushing large diameter water mains and then move to smaller lines,” said Bryan Water Superintendent Norm Echler. According to Echler, water customers may experience rusty or discolored water during the flushing program. In most cases the condition is temporary, with water quality returning to normal as flushing in that section of the city is completed. Although the discolored water is not harmful to drink, it may stain light-colored clothes washed in it. For this reason, customers are encouraged to avoid washing clothes during regular working hours while the flushing program is being conducted in that part of the city. Check the Bryan Municipal Utilities website at www.cityofbryan.net and Facebook page for progress updates on the annual fire hydrant flushing program.